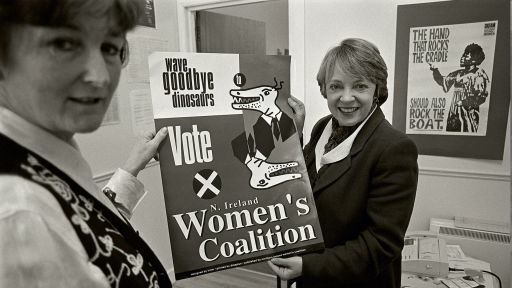 Wave Goodbye to Dinosaurs vividly shows the extraordinary story of the Northern Ireland Women’s Coalition, a cross-community party formed in 1996 that went on to win two seats at the historic peace talks. The conflict in Northern Ireland dates back to when it became separated from the rest of Ireland in the early 1920s. Great Britain had ruled Ireland for hundreds of years, but when the Republic of Ireland gained its independence from British rule, Northern Ireland remained part of the UK. When this happened, the population of Northern Ireland was essentially divided into two groups: Unionists (or loyalists) who were happy to remain part of the UK and Nationalists who wanted Northern Ireland to be independent and join the Republic of Ireland. Unionists were mostly Protestant and Nationalists were mostly Catholic. There were fewer Catholics than Protestants in Northern Ireland. Catholics found it difficult to procure jobs and homes and began protesting. The Unionist community held their own protests in response. During the 1960s, the tension between the two sides turned violent, resulting in a period known as the Troubles. In order to deal with the conflict, British troops were sent to the area, but they came into conflict with Republican armed groups, the largest of which was the Irish Republican Army (IRA). The IRA carried out deadly bombings in Britain and Northern Ireland. Armed Loyalists also carried out violence. After years of fighting, the 1990s saw a change in the region, as the IRA announced it would cease violence. In 1998, after nearly two years of talks and 30 years of conflict, the Good Friday agreement was signed. This resulted in a new government being formed that would see power being shared between Unionists and Nationalists. A copy of the agreement was posted to every house in Northern Ireland and the Republic of Ireland for people to read, before a referendum was held when they could vote on it. In May 1998, adults in Northern Ireland and the Republic of Ireland voted in favor of the Good Friday Agreement and the Northern Ireland Assembly took their seats in December of that year. But this didn’t completely bring an end to Northern Ireland’s problems. There were allegations of spying and some of the political parties said they couldn’t work with each other. Some people opposed to this peace process also continued to be violent. In 2002, the Northern Ireland Assembly was suspended and its decision-making duties were returned to the UK government. Five years later, the Assembly was given back power and in 2007, the British army officially ended its operations in Northern Ireland. However, in January 2017, the deal between the main parties in Northern Ireland collapsed and it has yet to be restored. 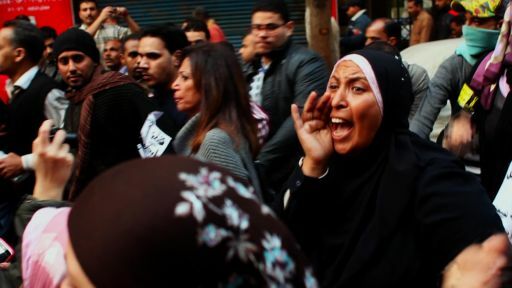 The region’s political parties still disagree and are locked in a stand-off with each other. Many people hope that a peaceful, power-sharing arrangement can be reached again soon. Although the politicians continue to disagree, there has been no return to the violence once seen in Northern Ireland. Ireland’s prime minister that Brexit threatens the Good Friday agreement and could “drive a wedge” between Britain and Ireland. How did Northern Irish women influence the success of the 1998 peace accord? Through the Northern Ireland Women’s Coalition, Catholic and Protestant women’s groups joined forces to establish one of ten political parties popularly elected to participate in the peace negotiations, and one of the few that worked across Catholic and Protestant communities. 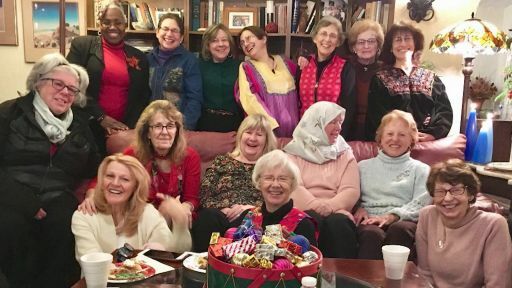 As Jamille Bigio and Rachel Vogelstein of CFR note, because the women’s coalition leaders were respected as “honest brokers” from both communities, officials could rely on them during significant times in the process. In fact, when Sinn Fein, the political wing of the Irish Republican Army, was temporarily barred from peace talks, the Women’s Coalition maintained communication with them and were able to reintroduce them back into the process. 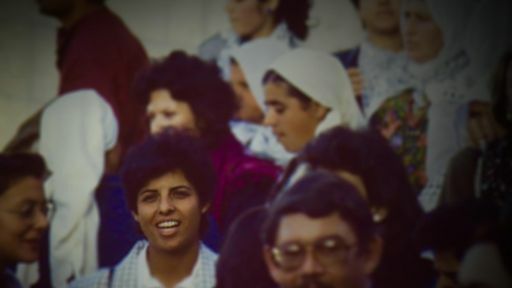 Relying on relationships they had built over time with the public — including numerous consultations — women’s groups were able to organize a massive civil society campaign that was crucial to the 1998 approval of the peace agreement in a public referendum. 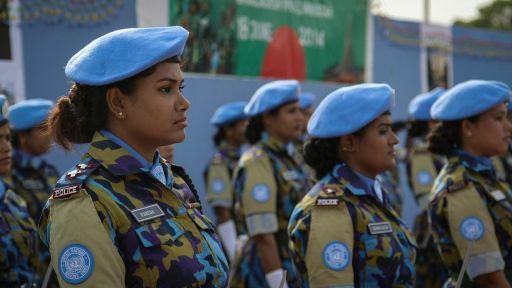 Despite their prime role in bringing about peace, women remain underrepresented in politics and in the economy. The Northern Ireland Women’s Coalition was formally dissolved in 2006 and twenty years after the Good Friday Agreement, only one woman has been appointed to a monitoring body for the peace process. Learn about the grass roots nature of Women Transcending Boundaries.